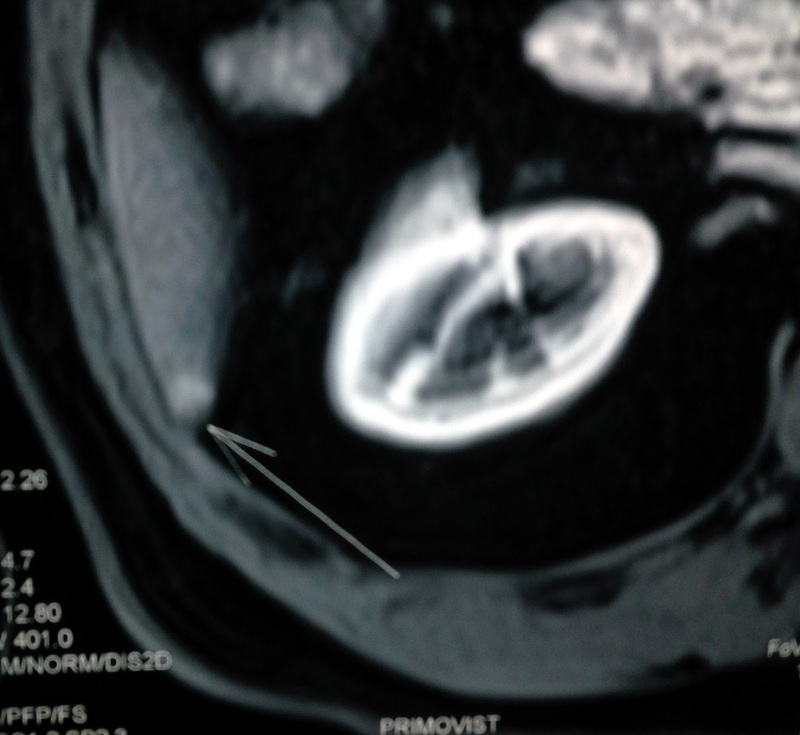 Man 66 yo with history no infected HBV, HCV but high values of liver enzymes for a long time. 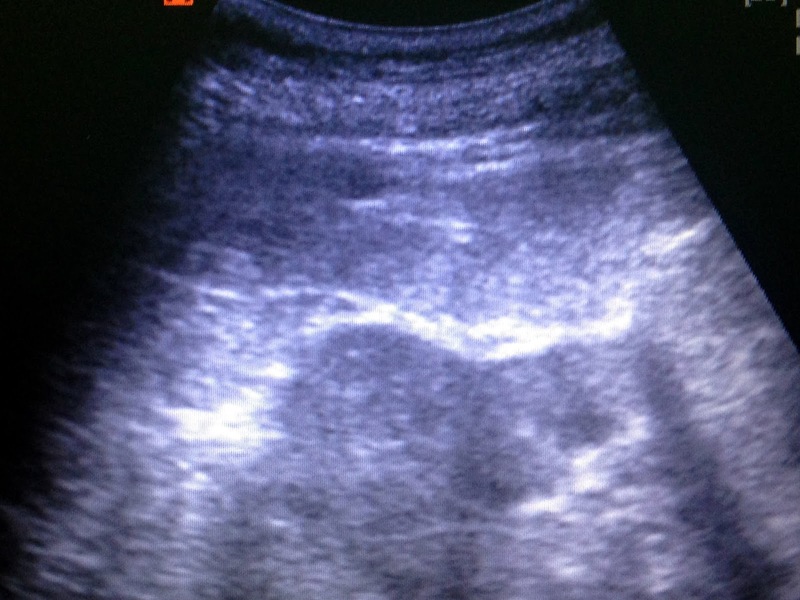 Ultrasound of liver showed fatty infiltrating in liver. Blood test of HCC RISK positive with AFP: 33.6 ng/ml; AFP-L3%: 62,4% and DCP: 21mAU/mL. 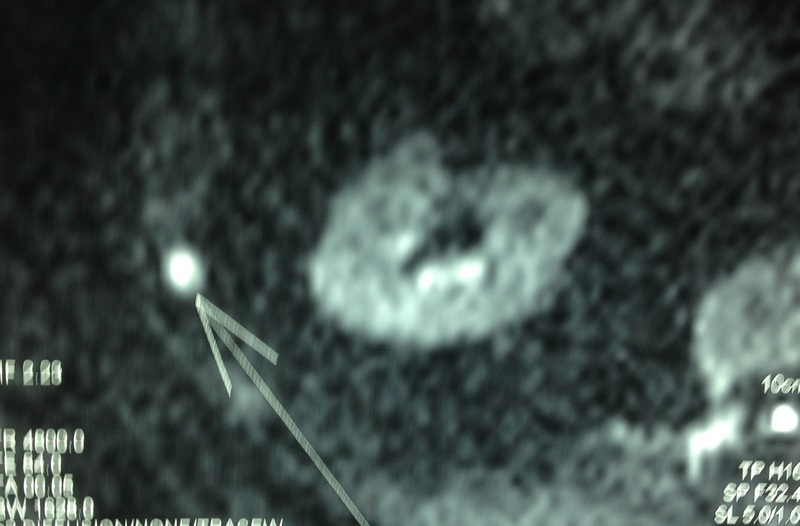 MRI of liver with PRIMOVIST and DWI detected a small focal lesion, size of 0.8cm at the liver border in segment 6, very bright in DWI and captured and washed out Primovist like a HCC. 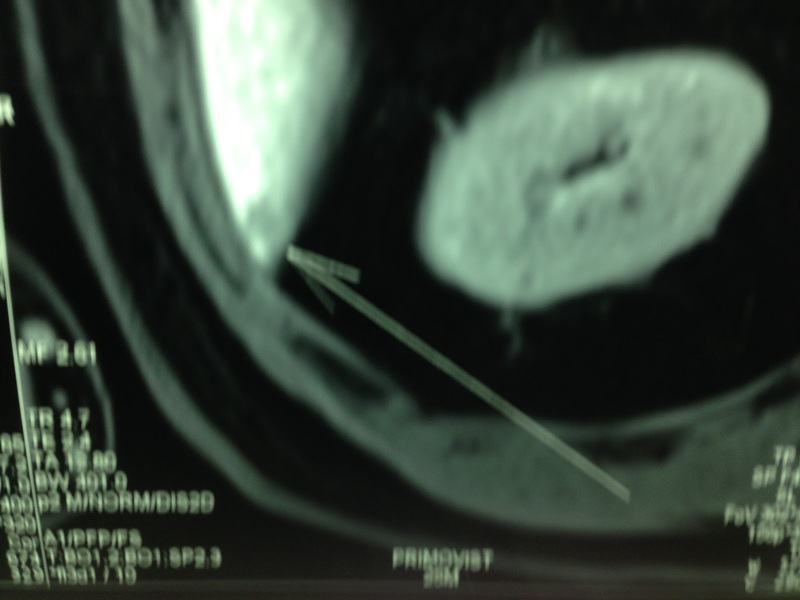 Diagnosis was made for a small HCC, wait for operation. 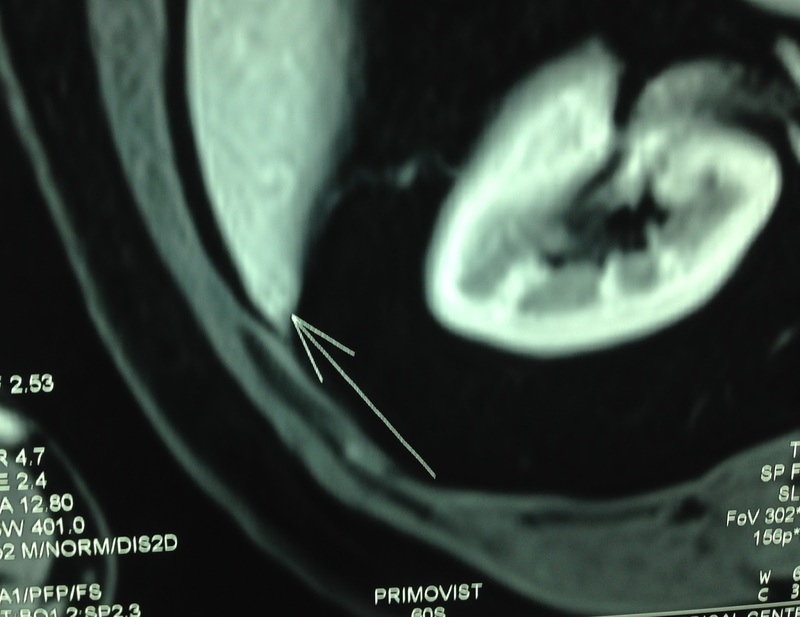 Biopsy or not for the case: hepatologist and radiologist said no because worrying of sedding cancer cells. RFA or SURGERY? 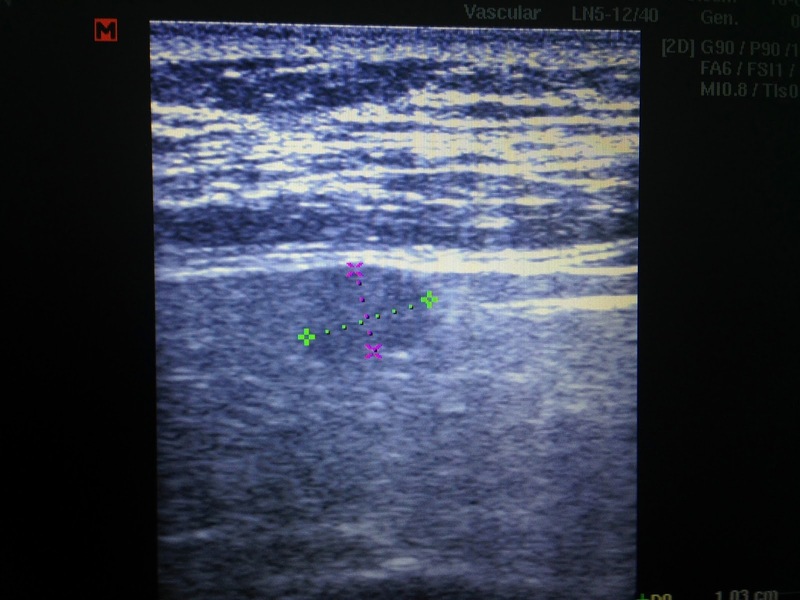 RFA could perform if ultrasound can see the tumor. 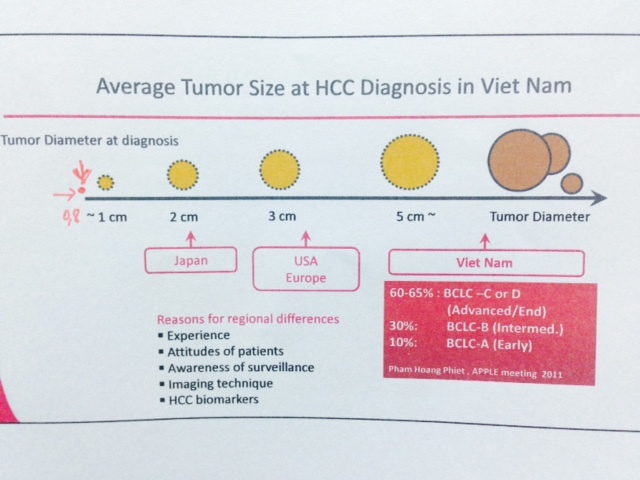 Yes, WE CAN SEE THIS HCC ( see 2 US pictures). 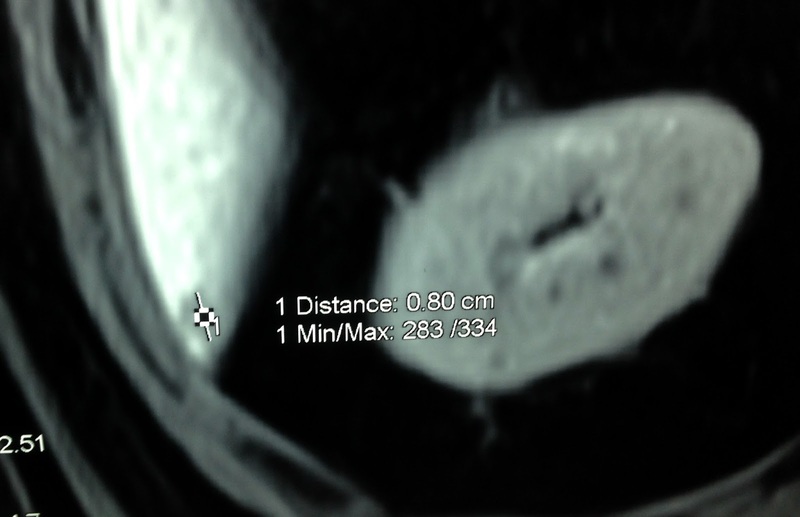 This case is planning to do RFA in next week and test HCC Risk (WAKO) 24 hours after this procedure. Wako test will be performed one month after RFA.